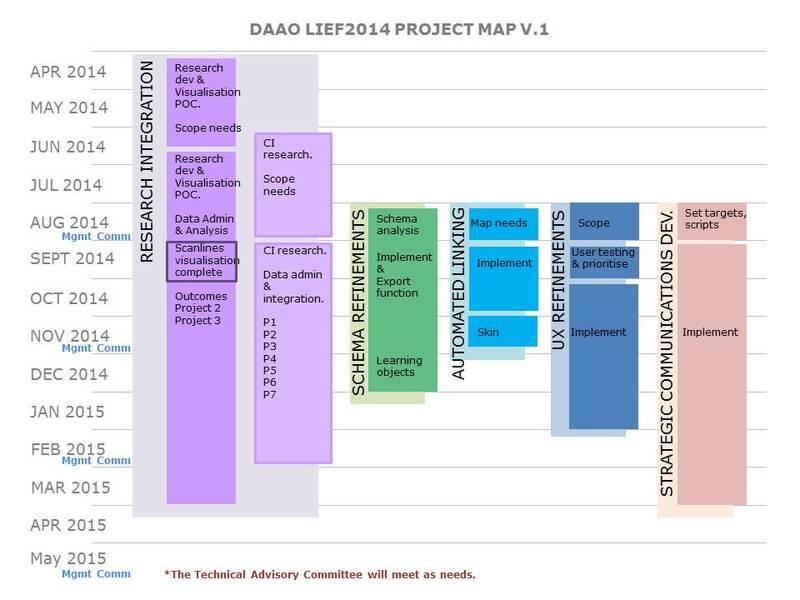 Below is v.1 of our Project Map for the LIEF2014. It’s an ‘at a glance’ map and will change as we move through the year. Fun times ahead! 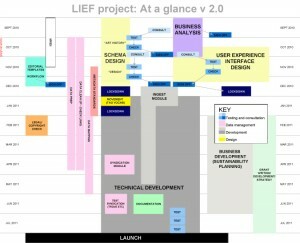 MAPS of PREVIOUS GRANT PROJECT. 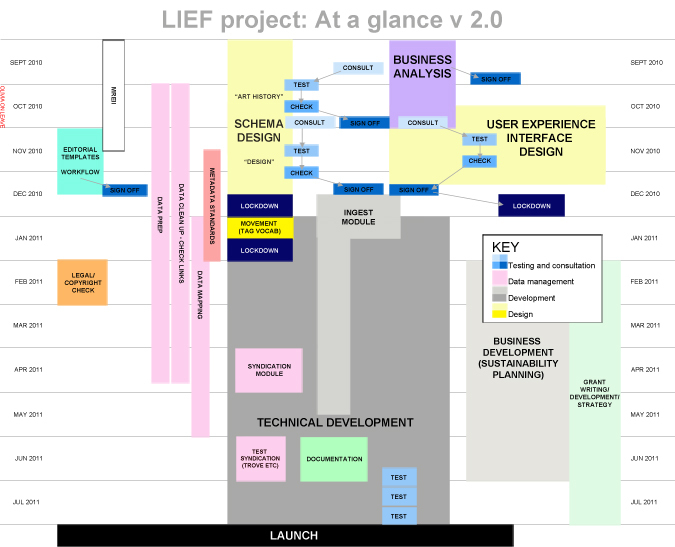 Below is the first iteration of our Project Map for the LIEF2012. 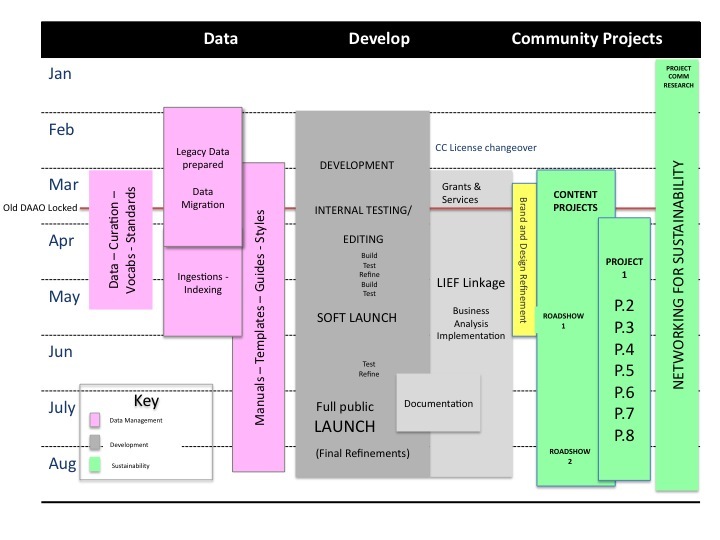 This diagram represents an overview of the schedule, major components and milestones for the 2011 stage Project. It is basically a gannt chart in box form. 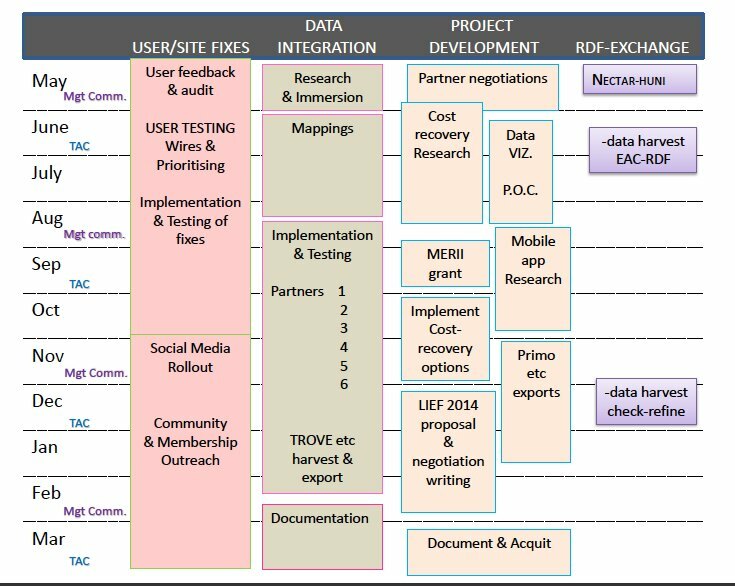 As the project progresses various little elements will changes within it as we learn more but the critical path should not change. Below is our previous map. For the record.